If the house has no kitchen scales, to accurately determine the amount of dry foragerequired by the cat, dog or ferret is difficult because the standards are usually listed in grams. In such cases it is necessary to do the calculations, converting measures of weight measures of capacity. Carefully read the information provided on the package with the food. Sometimes the packaging indicates not only the weight but also the amount of recommended daily servings. For example, 40 grams or ½ Cup (ie 125 ml). Many feed manufacturers produce special measuring cups that accurately measure the required amount of pellets. Typically, these measurements are attached to large packages of feed (10-25 kg), in addition, they can be free to obtain in large pet stores and veterinary pharmacies. Just ask the seller if they have available measuring cups for the brand of feedyou use. 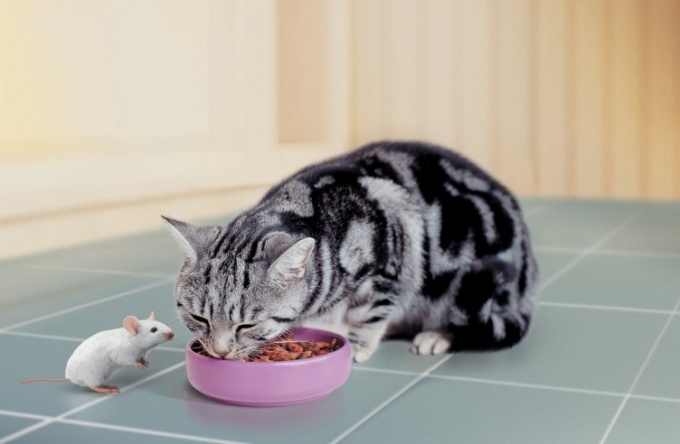 In many pet stores pet food sold in bulk. Ask the seller to accurately measure the daily dose and pack it in separate package. House pour granules into a small jar and make a mark with marker at the correct height – this will allow you to measure out exactly the amount of feedthat is needed. It is possible to use a disposable plastic Cup and cut it at the height of the label. You can also calculate the daily dose of feed, based on total volume of feed in the package. For example, if you buy food in packages of 400 grams, and the animal is necessary to give 50 grams of feed – you can either divide the contents of the packet into 8 oz portions and measure the volume of one of them. The second option is to take a small volumetric capacity (depending on granule size and weight daily serving of it can be tea or table spoon, stack, coffee Cup, Cup) and some food from the pack, gradually pour it into the bowl, counting the "measuring units" you did it. This will calculate how many grams of feed placed in the container. If you transfer an animal from one feed to another measurement have to be repeated, because the ratio of weight of feed and its amount depends on many parameters, including grain size and shape, density, feed , etc. for Example, a standard glass with a volume of 250 ml is placed about 75 grams of feed for dogs of large breeds, about 100 – for small dogs, about 120 for kittens. 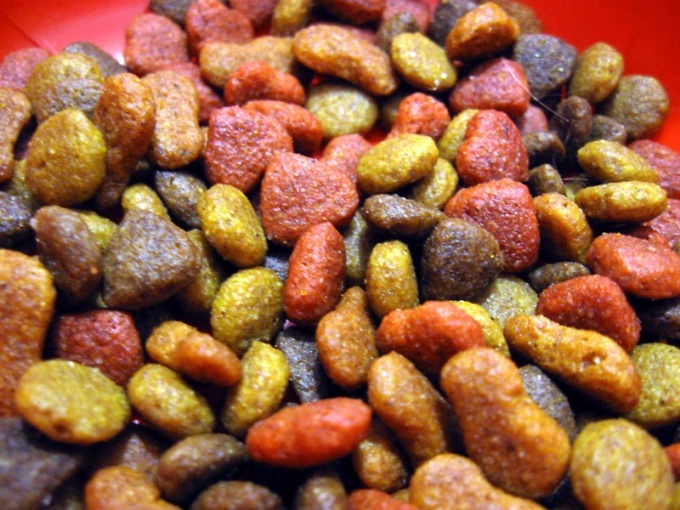 The packaging with dry food is usually the weight of the contents, as well as the recommended dosage. But if no weights how to measure the right amount of food, so the pet does not overeat, but not go hungry? There are several ways to measure dry ingredients. At the pet store, you can offer special measuring Cup, which has a division corresponding to a specific weight of each kind of food. However, in General, these cups are designed for dog and cat food. Owners turtles, ferrets and some birds have to get out of their situation differently. Of course, such a Cup in any case useful. Ask the seller to weigh it first empty and then pour the desired amount of feed and make on the wall of the corresponding box. You can use kitchen scales. Before weigh food, don't forget to weigh capacity. To determine the amount of feed actually needed from the total weight subtract the weight of the vessel. In the absence of volumetric glassware take a plastic bottle suitable volume. Cut her neck. At the upper edge of the resulting glass puncture or penetrate the hole. Pass him with a clothes line and tie the elastic band of her ring. Ring clip any protruding from the vertical plane. For example, on the door handle. On the door with Scotch tape, fasten a sheet of white paper. Assume that 1 ml of water weighs 1 g. Respectively, in standard faceted glass holds 200 g of water. In stores of beverages sold in plastic bottles of different sizes, and you can almost always pick one that meets the necessary dosage of food. Pour in a large bottle from a glass or a small bottle with a known volume the amount of water and take on the risk sheet, mark the position of bottom. Without removing the rubber band, pour the water, wipe and dry your homemade steelyard. For quick drying you can use a Hairdryer. Begin to scoop food into the bottle. Watch the bottom. When it descend to the level of risks it will mean in the bottle is the right amount of food. If you wish, you can upgrade the device. Attach the elastic band to the cork of the bottle and for filling the feed slot on the side, as is done at the bird feeder. Such scales would hang evenly and without bias. Also to the bottom of the bottle, you can stick a ruler or a rake and use it as an arrow-pointer. To remove the spring balance each time, hang it in a discreet place. This can be, for example, the inner Cabinet door. The gum will have to be changed periodically because it tends to stretch. The instrument must be periodically verified. Re-calibrate the scale necessary and in that case, if changing the dosage or type of feed. It is better to make a few scratches with the appropriate signatures. The recipes for many culinary dishes require precision when measuring ingredients. Liquid or granular products can be measured with a spoon or measuring Cup. But what of solid products such as cheese? When you are faced with the need to measure a certain number of products, as kitchen scales are not at hand, it is necessary to go on cunning. How, for example, to measure 100 grams of cheese? Standard packaging of the processed cheese (e.g. "Friendship") weighs about 100 grams. 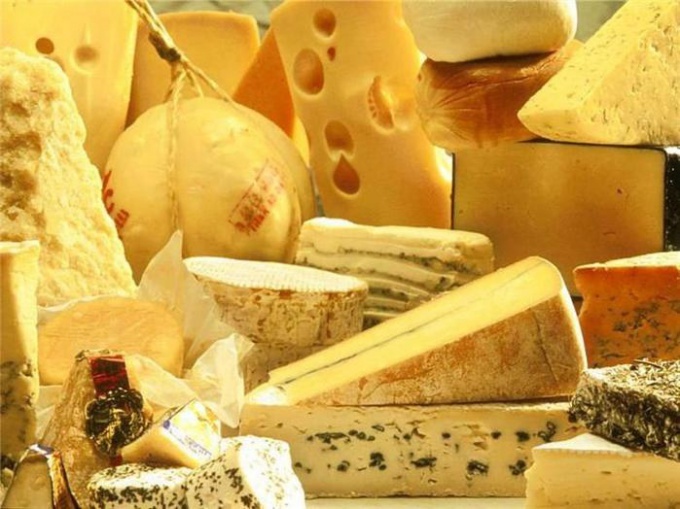 Think of the cheese, mentally hold it in your hands, feel its weight and volume. Remember? Now try to cut the same piece of cheese. Processed cheese and cheese have roughly equal density, so if you can cut a piece of cheese the size of packaging of the processed cheese, will receive approximately gold a piece. The task is easier if you know roughly how much it weighs is a great piece which you have cut off 100 grams. All elementary: from a piece weighing 400 grams you need to separate a quarter, from 300-gram – a third, from 250 gram – slightly less than a third. If these methods don't work for you, try to find a house object whose weight you know for sure. All of the factory products must contain on its packaging the weight. Note that the net weight means the weight of the product without packaging and the gross mass is the total weight of product and packaging. These values can vary significantly if the pack is heavy. Now that you have a reference gold sample, you can measure out a piece of cheese, focusing on him. Also, remember that 1 milliliter of water weighs 1 gram. You can use a measuring Cup to measure out 100 grams and then cut the desired piece of cheese, focusing on water weight. If you don't have a measuring Cup, a normal glass of its standard volume is 200 milliliters. If you often need to measure the weight of products but don't want to spend money on a kitchen scale, use the old-fashioned method and make 100-gram model, which will always be at hand. Sew bag made of thick fabric and add to it 100 grams of salt, any kind of cereals or any other substance. Importantly, this filler was not perishable. Of course, you can make several bags of different weights – for example, 50, 100, 200 and 500 grams. You can determine the approximate weight of the food, picking up these bags. And you can make the measurement process more accurate. To do this, take a normal hanger, hook to one end of the pouch of the required mass, and on the other end hang a bag and place the product that needs to be weighed. When both ends of the makeshift weights to be balanced – you have reached goal and cut a piece of the desired weight.